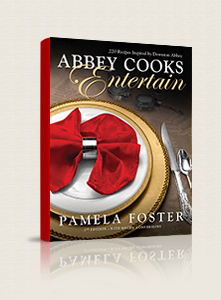 Nominee for 2016 Taste Canada Cookbook Award. If there is one great contribution that the English have made to entertaining, it has to be the invention of Afternoon Tea. No longer just for grannies and tourists, young ladies and many busy professionals are now making time to relax with a cup of tea, lovely treats and quiet conversation. 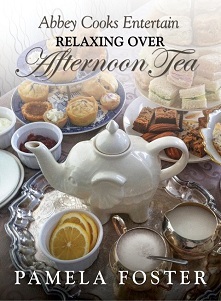 I am so excited to have completed my book on my favorite meal, Afternoon Tea. If there is one great contribution that the English have made to entertaining, it has to be the invention of Afternoon Tea. No longer just for grannies and tourists, young ladies and many busy professionals are now making time to relax with a cup of tea, lovely treats and quiet conversation. 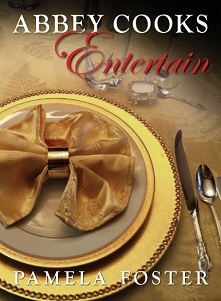 This book is a great way to learn traditions, etiquette and how to host your own private tea or large event/fundraiser. Scrumptious traditional recipes for scones, sandwiches and sweets are included. Relaxing Over Afternoon Tea provides you with a checklist of everything you need to host your own private tea party or large fundraiser, as a great way to gather friends and share confidences. Learn proper etiquette with tips to prepare you for a dream trip to a famous tea house in London, or to visit one of the many tea shops springing up all around you. The book is filled 50+ wonderful traditional recipes, enjoyed just as much 100 years ago as they are today. And a word of advice if someone calls it High Tea, they don’t know the history and traditions of this lovely past time. Get the signed PDF version here. Print version is available through Amazon.